Where should you have your Ferrari serviced? Were you advised to first look for the mechanic who will maintain your Ferrari before finding the Ferrari of your dreams? It is a good idea because its maintenance and history will be paramount so that your experience does not turn into a nightmare. And good specialists are rare, very rare. Finding the right one can take longer than finding the right Ferrari. So where do Ferrari owners go to do their routine maintenance? Which types of garages are preferred? By reading the forums, you might think that many are doing their own maintenance, given the number of discussions on the subject, or that official concessions, some complaining, should be avoided. But what is it actually? There is nothing better than a survey of the Ferrari owners to know the truth. And the results of this survey could be surprising. The question asked to the Ferrari owners was simple: "Where do you maintain your Ferrari in 2017?". Not an exceptional intervention for which you prefer an official stamp or for a tire change, but just the annual maintenance of your Ferrari. Six answers were possible: in an official Ferrari dealership, in a specialized Ferrari garage, in a garage specializing in exceptional sports cars, in a non-specialized garage, in a car center, by yourself or by a friend. 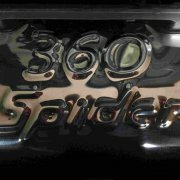 200 Ferrari owners replied (195 to be precise, at the time of the writing of this article), which represents a nice panel given the number of owners of Ferrari in France. It should be kept in mind that on Ferrarista the members are mainly first-time buyers and enthusiasts, that is to say that they reflect rather the majority of the owners of Ferrari, compared to the minority who buys new Ferrari or multi-million Ferrari. One-third of Ferrarista's members carry out their revisions in an official Ferrari dealership. This may seem like a lot to you, if like me you regularly read on the forum feedback sometimes negative about concessions. But it should not be forgotten that on the forums people rarely intervene to say that everything is fine, and especially when they are not happy. And regarding an official Ferrari dealership, it can be expected that their level of requirement is as high as possible. 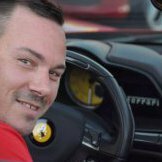 A part of this relatively high score is explained by the fact that the Ferrari sold new since 2012 have a free maintenance contract in concession for 7 years . This contract is transmitted to the resale of your Ferrari, few buyers keeping their Ferrari for 7 years. This assures Ferrari that during 7 years the maintenance will be done in concession. This allows the owner to retain the manufacturer's warranty, which is often extended for a fee (Power Warranty). Another part of the score is explained by the fact that many owners think about resale: the official stamp of a Ferrari dealers reassures the future buyer. For him, this stamp means that it is not a stranger who worked on this Ferrari, it is someone trained by the factory. The official standards of the mark were respected, with original parts. Traceability of the interventions on this Ferrari is then ensured by the Ferrari network. The survey does not go down in this level of detail, but you can expect that the score achieved by official Ferrari dealerships would be much higher if it were only for the recent Ferraris, those less than 10 years old, for example. The Ferrari specialists' score is the same as the concessions, which is a good score. Often these workshops are run by people who have worked in official Ferrari dealerships. They know the models well, were trained by the factory and kept links with the concessions (for the purchase of parts in particular). Their advantage is that their tariffs are lower than those of an official concession and that they can offer a customized service à la carte, which is not permitted by the industrialization of concessions. They may spend more time solving a complex outage or adjusting small details (such as a squeak heard at a particular location) that annoy an owner but take time to resolve. Ferrari specialists also offer the advantage of being closer geographically than concessions, which for some owners are several hundred kilometers away. This is not practical. Specialists in exceptional sports won 16% of the vote, which is half the size of the official Ferrari dealerships or Ferrari specialists. It is a good score because the Ferrari are very technically sharp. It is necessary to have the specific equipment (suitcase for example for electronics). This good score is probably explained in part because the owners of Ferrari have mostly owned other sports before. If they know a good specialist, they keep it . Good addresses are rare. 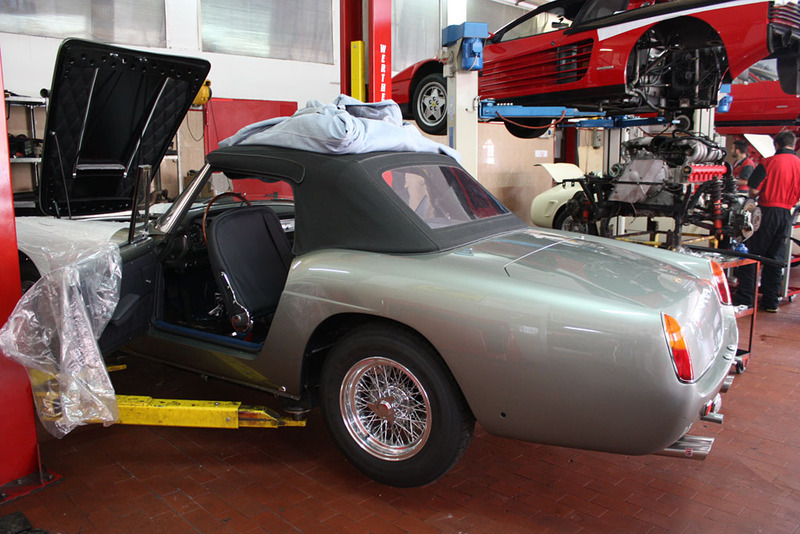 If they have seen regular Ferraris in maintenance with this specialist, they remain there with less apprehension. There is also the case of owners of Ferrari who own several cars, a small collection, for which all maintenance is carried out at the same specialist of confidence. Unlike the official Ferrari dealerships, you might expect that the specialist score (Ferrari specialists or specialists in exceptional sports) would be even more important if this poll focused on the old Ferraris, those of more than 15 Or 20 years for example. The score achieved by non-specialized garages is 2.75%. This is a low but logical score: Ferrari are sharp cars that require specific skills and experience. 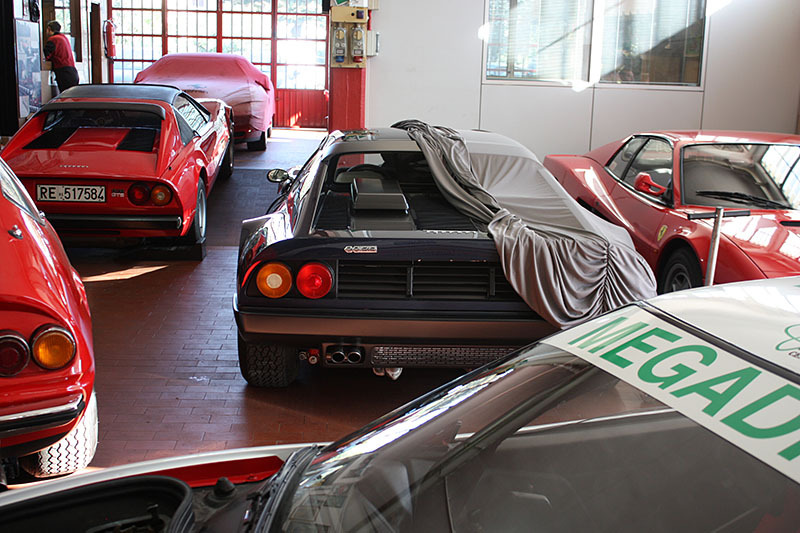 You can imagine that the owners who carry out maintenance of their Ferrari in a non-specialized garage do so because they know the garage very well and / or because their Ferrari is old and does not require the current technology. They will rather be owners who wish to keep their Ferrari, who do not need the stamp of a dealership to reassure a buyer, and just wish for a job well done at the best price. The choice of car center had been added in this survey a bit like a provocation: car centers are widely used in the world of car maintenance but you do not think of it to maintain your Ferrari! The score is very low at 0.55%, which seems logical. But the exception exists, as do the competent car centers. 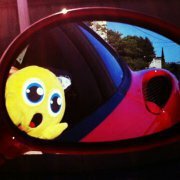 16% of the owners of Ferrari indicated to carry out the routine maintenance of their Ferrari themselves or by a friend. This means 1 owner out of 6, which is a significant score. Carrying out routine maintenance, in this case an annual review, remains relatively easy. We would not have the same score for more complicated procedures, such as changing belts with engine removal, for example. Even though tutorials made by owners who have done so are relatively numerous on the forum. A forum naturally attracts more owners who have technical questions , because they do some operations themselves. This population can therefore be over-represented in this survey, compared to all Ferrari owners. This figure also reflects the share of older Ferrari owners who are easier to maintain, and that you keep longer because you are less attracted by the acquisition of the latest novelty. In short, one-third of the owners go on concessions, one-third to a Ferrari specialist, and the remaining third go to a specialist in exceptional cars and half to self-made work. Prior to this survey, were you expecting such a distribution? Which score surprised you the most? What other reasons do you see for explaining the results? Toujours intéressant , mais je crois qu'il y a une évolution majeure dans l'entretien des Ferrari , il aurait peut être été bon de différencier l'année de fabrication des Ferrari ? Tony est l'exemple , il n'y a aucune Ferrari post 2000 sur les photos ! Merci Bernard pour ce commentaire ! 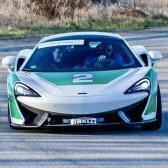 D'accord avec toi, puisque je note dans l'article que si le sondage se faisait par génération de ferrari, les concessions auraient un meilleur score sur les récentes (entretien 7 ans) et les spécialistes un meilleur sur les anciennes. C'est chez Tony la photo? C'est quoi le modèle en bleu justement avec la housse a moitie? Elle a l'air jolie! Merci Franck pour ce billet, le sondage est sans surprise sauf peu-être le nombre des personnes qui font l'entretien eux-mêmes. En plus des connaissances (un peu quand même), il faut de la place, des outils, etc.